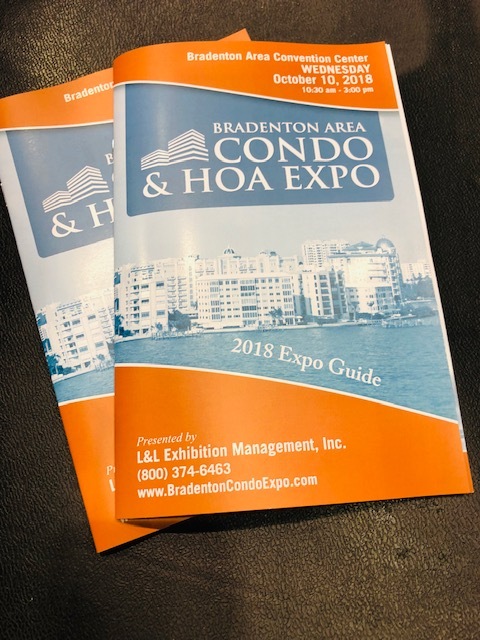 Bio-One Sarasota had the opportunity to participate in the Bradenton Area Condo & HOA Expo, which was a great success. We met some many Condo owners & HOA members. They were thrilled to learn about a company who specializes in Bio-Hazard work. Bio-One is essential in the safety of not only residents, but also the community itself. 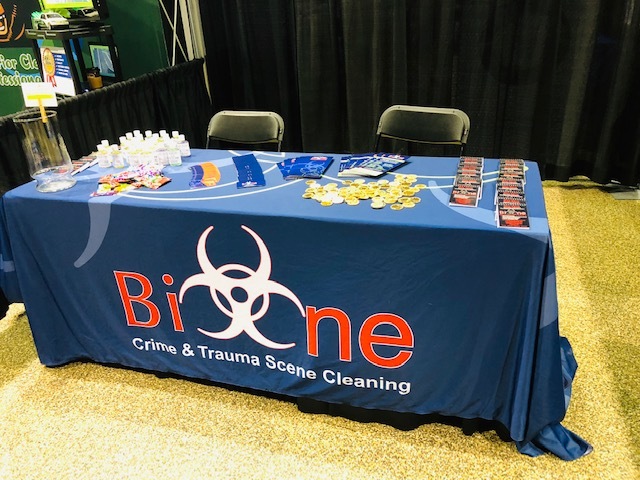 We were happy to share about our expertise and knowledge on Bio-Hazard work and how we could assist our potenital clients in their community! Bio-One was happy to be involved in such a wonderful event! We had hand sanitizers, labeled with our logo, and ready for our potential clients to have. Along with some tasty sweets, because who doesn't like candy? Did you know we have offices in Sarasota, Orlando, Tampa, and Lakeland. The owner, Robert Riley, personally manages each location. We cover most of the Central Florida region. Click here to find a location near you! You can see our Bio-One expo table set up and ready for vistors. We had cards, notepads, and other goodies to give out! We didn't have much left by the end!